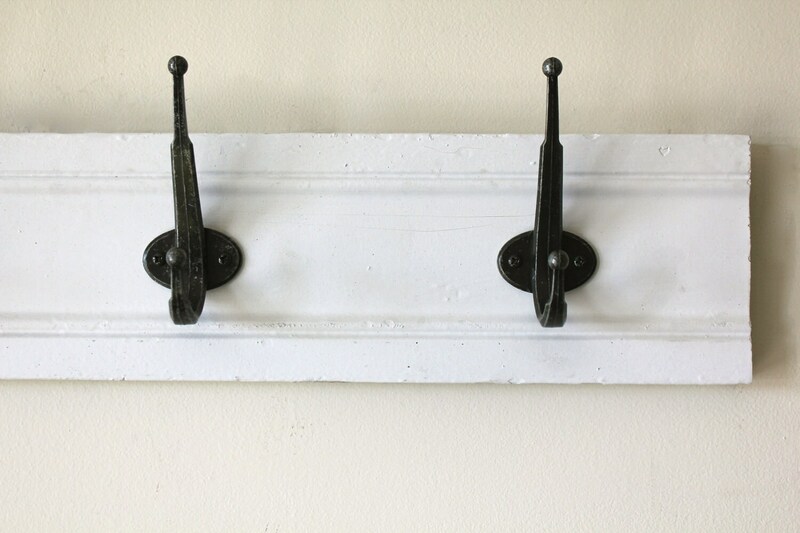 Antique, solid white trim board is a great way to organize your scarfs, jewelry or anything you want to show off. 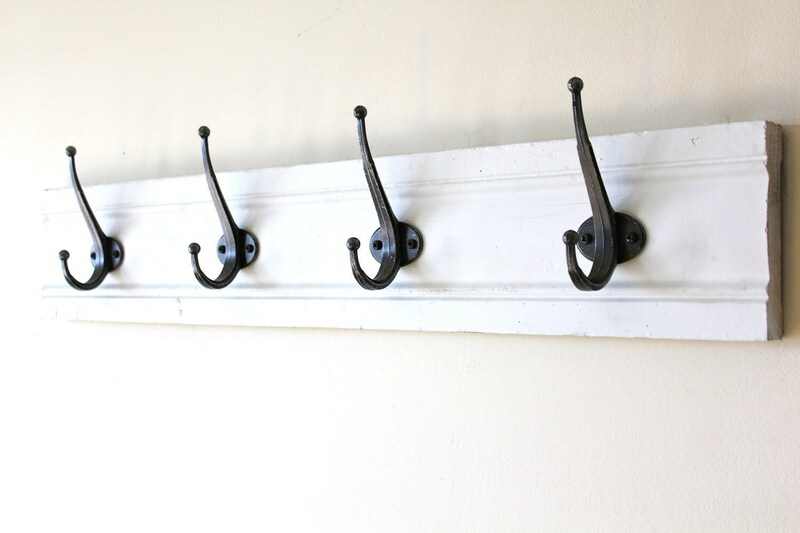 The four classic, distressed metal hooks create an elegant look. 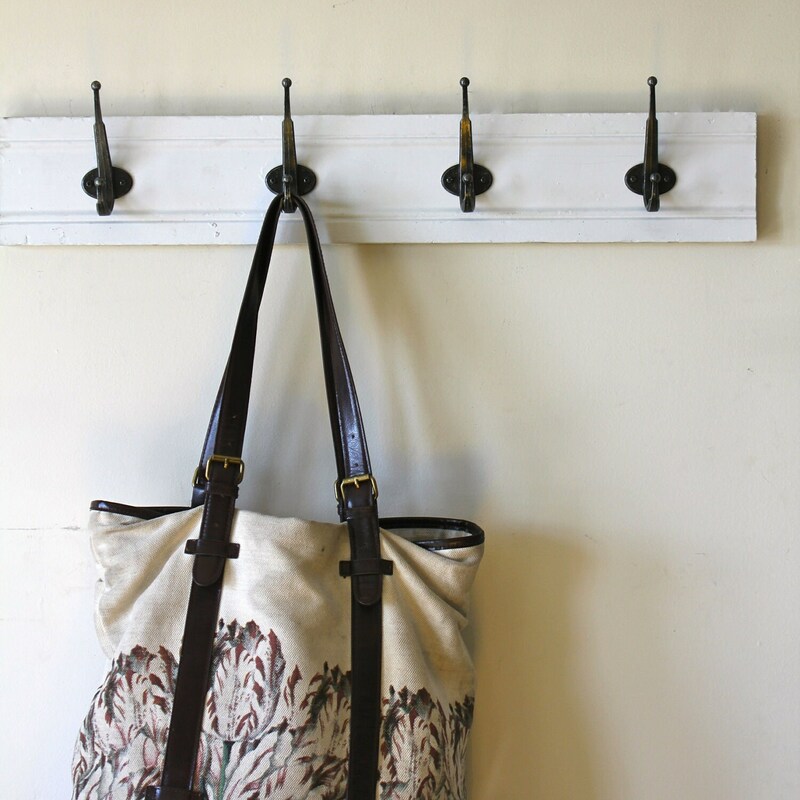 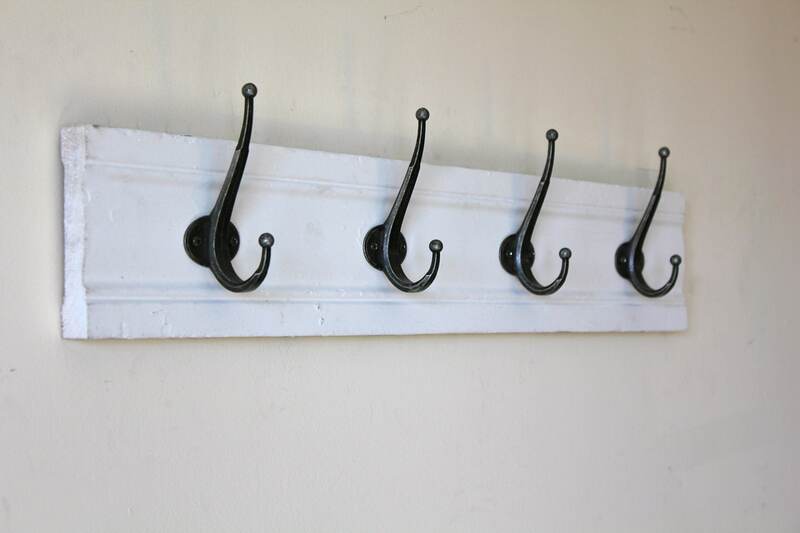 These type of double hooks make a great way to hang purses or jackets. 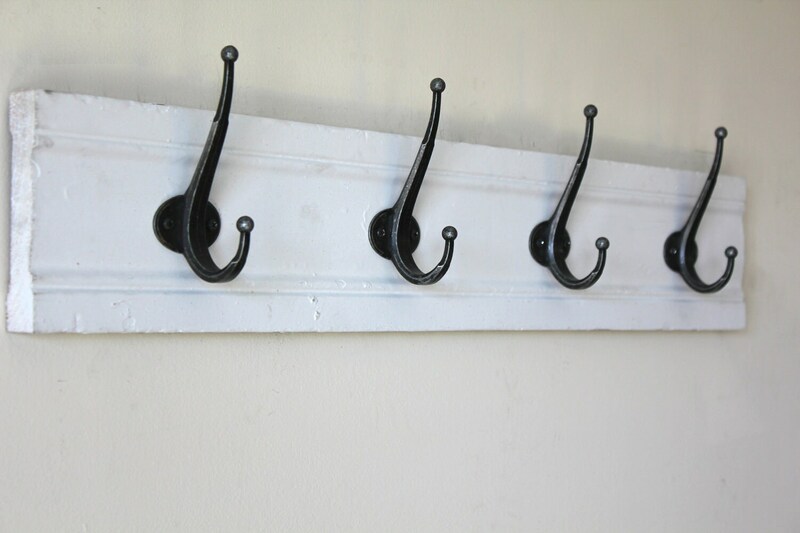 Each rack is made from unique vintage boards and vary slightly with markings.